Everything starts at One Time Creative with a blank canvas, meaning you get a unique looking website designed specifically for you and your audience. Achieving perfection takes effort and dedication, which is why we include unlimited revisions, so the site will only go live when you are 100% happy. We also include free SEO and set up Google Analytics, so you can track visitors and the success of your marketing campaigns. Click on an example below to view one of our live websites, or contact us for further information. 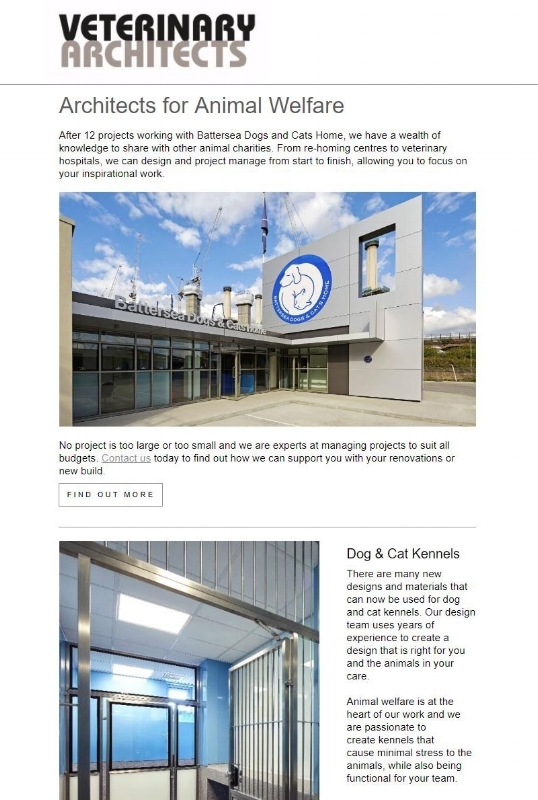 A brand new website for a brand new subsidiary of the exciting award winning Jonathan Clark Architects, as they launch into the veterinary marketplace. In their 25th year of business, One Time Creative provided Wales’ largest Jaguar specialist with a new website to showcase their range of services and help them expand their customer base. W&H is one of the finest manufacturers of dental equipment in the world. They don’t do compromise. When launching in to the veterinary market, One Time Creative were the only choice. This exciting new charity required a website that explains the charity aims, promotes their work and acts as a resource library for other organisations to reference. Harmonie International is a global brand with a broad portfolio of operations. To showcase this, a brand new website was created for customers to find relevant business areas easily. An incredible website for an incredible lady. Eve’s healing powers, skills and knowledge are now reflected in a new website. Truly inspirational. Corporate brochures, adverts, flyers, posters, banners and invite cards, these are just some of the many print media design options available by One Time Creative. With experience from a broad range of business sectors, we will provide a fast, efficient, cost effective service for any design brief. 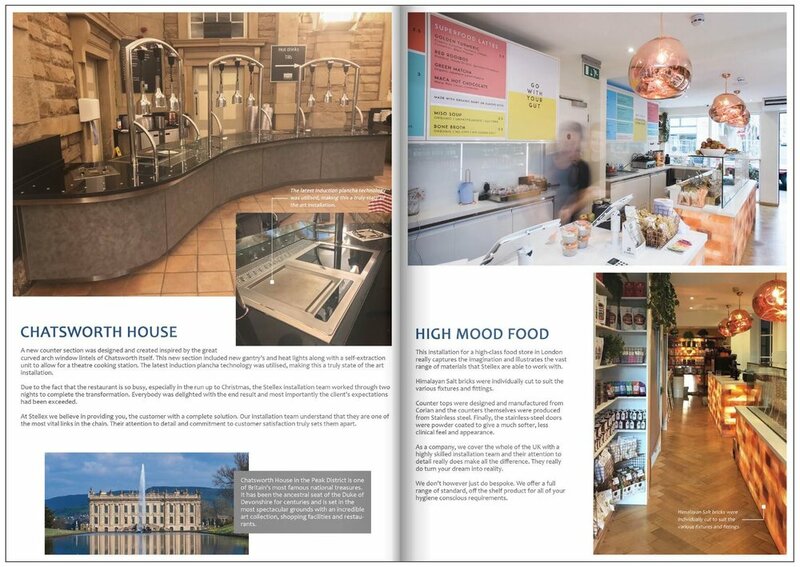 Chatsworth House, Skibo Castle and the University of Glasgow are just some of the clients served by Stellex Manufacturing Ltd. To match their incredible work ethic, a high quality promotional brochure was required to show-off their amazing creations and to attract new business to the company. At exhibitions you have one opportunity to captivate your audience. We recognise that at One Time Creative and specialise in eye catching, attention grabbing banners. From charity to corporate and sales to speciality, we cater for all requirements and applications. Are you lost in a sea of digital information? Overloaded with buzzwords and techno speak? Allow us to calm and simplify things and lead you to this exciting and brave new world. The life blood of any modern business. Email marketing allows you to influence customers and control sales to a level previously unheard of. For today’s business email marketing is vital and has to be embraced. Let us revolutionise your sales. Initially called 'Pro-Cat', One Time Creative was asked to help this new boat building business launch with a new name, logo and brand. After considerable research, Manta Marine was chosen as the new business name, which invokes images of the streamline Manta Ray, while also not restricting the business to a specific type of boat (cat was used previously for catamaran). A new logo design was then created using an original manta image and colours suited to the marine business sector. It was important to have a design that looked equally good on a side of a boat, as it would on a t-shirt or business card. One Time Creative is now designing a website, that will launch as soon as the new boats come off the production line.